NRG Music & Productions themed shows are one of our most popular options. From the start, guests will feel transported by our authentic choice of music, moves, and costumes and a level of production that is unsurpassed. Event planners particularly love booking our themed shows, as they provide endless inspiration to take the event to the next level. Our themed shows always spark anticipation and excitement with our guests, and our fantastic range of options appeal to a range of ages and tastes. Many of our shows also feature synched video playback that creates a striking multimedia experience. Book the Best Themed Shows Today! Book the Best Live Themed Shows Today! This rockin’ party is perfect for events with a range of ages and tastes. Using LED video panels, NRG brings some of your favorite stars like Bon Jovi, Billy Joel and Joan Jett on stage to sit in with the band. Our skilled event entertainers blow audiences away with their expertly-executed vocals, solos, and high energy anthems. Our Rock Star Party is always a huge crowd pleaser, and guests can’t help but get involved in the dancing and entertainment. Our USO Show is an inspiring, high-energy musical tribute to the U.S.A., our armed forces who protect our American dream of freedom, and the audience who supports that patriotic dream. NRG’s USO Show features music and costumes that span the 1940’s to today. Our USO theme show is one of our most popular options for clients looking for a unique and upbeat party and is perfect for the USS Midway, Miramar Air Base, or the Air And Space Museum. Everyone gets excited about a party that features hits all the way from the 1920’s to today. Not only is the music fun and nostalgic, but this themed show also offers a perfect opportunity for a costume party. Our guests love showing off their throwback costumes and having fun with accessories like poodle skirts, bell-bottoms, and mullet-wigs. The Great Gatsby ball is one of our most fun and decadent themed show options. Flapper girls, feathers, suspenders, and dimly-lit tables set the mood as our live event performers sing the catchy tunes of the 1920s and 30s. Guests love doing the Charleston and other vintage moves, adding a playful feel to the night. Our Cirque celebration is a beautiful entertainment option. This theme is easily adapted for all ages and family-friendly events. Our talented entertainers captivate guests with a magical and mysterious performance that conjures up the artistry of the European Circus tradition. This party inspires whimsical and colorful decor, and always makes the night a success. Enjoy one of NRG’s most elegant themed shows. Guests are blown away by the sheer skill of the entertainers at our Opera-themed occasions. This party is perfect for more sophisticated events, allowing for formal dress wear, champagne, and cocktails. It’s the perfect prelude to a sit-down dinner. This show is a fun-filled, Southern California musical revue celebrating the songs of Jimmy Buffett, The Beach Boys, Zak Brown and more. Our fantastic Margaritaville band includes vocalists, a horn section, steel drums, and percussion. NRG’s Party Spark dancers lead the crowd through limbo, a hula hoop contest, a volleyball game, and sing-alongs to their favorite beach tunes. This is a great option and will get CEO’s and guests involved with the band for an unforgettable experience! Party performers love hosting NRG Music & Production’s Jazz-themed events. The entertainment for this themed affair is dynamic, and just a touch racy. 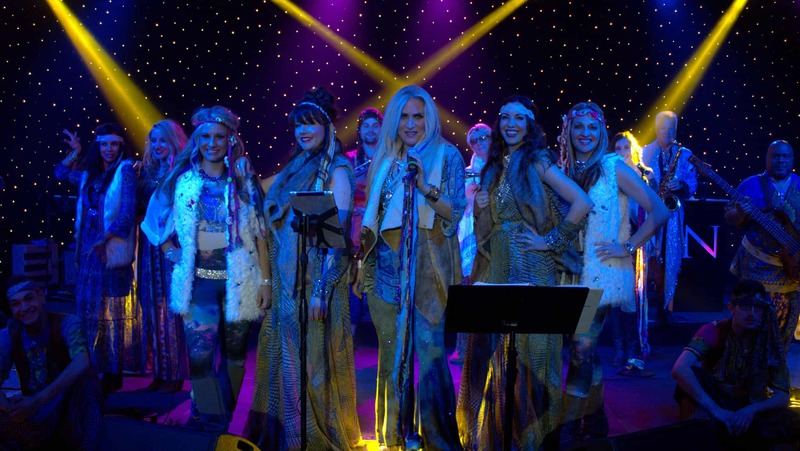 This themed show is perfect for fundraisers, holidays, and other unique evening events.